That's The Way It Was! 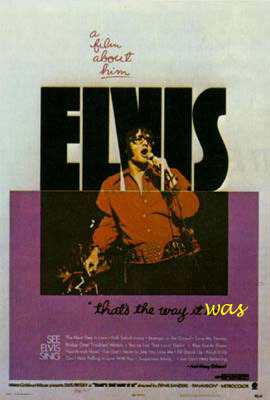 The movie 'Elvis: That's The Way It Is' will be re-released in an edited form. All the fan's comments will be removed, more rehearsal sequences and extra live segments will be added. We are told this will result in a 'complete-like' concert. The release is scheduled for Summer 2000. There will be 2 versions, one for the theatres and an extended version on homevideo. Finally they get awake and realise what a great stuff they have.